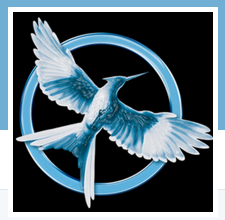 Mockingjay Power :: General (Out of character) :: Greetings! Hi guys! I'm new to this site, but not at all new to rp. I tend to go around and look for brand new forums, and then help get them active. If I really like the site, then I'll stick around. I will try to advertise for this site and get as many new members as possible, after all inactive sites are no fun! my username, Rueamandla is made up of two parts. The first part, Rue, is after the character Rue form the hunger games and amandla is after the actress who played Rue, her name is amandla. So anyway I hope we can be friends! Welcome, and thank you for already having a completed character sheet in. I'll check that out in just a moment. You have an awesome username, by the way. I like Rue too! I'm so glad this got accepted.